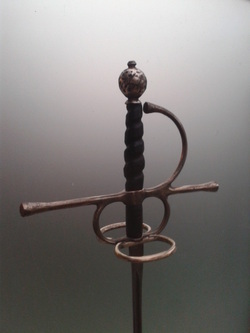 This is the Jacob's Armoury, theatrical, Ring Guard Rapier. The standard threading pommel makes it easy to replace the contemporary epee fencing blade, making this weapon practical, versatile and affordable. 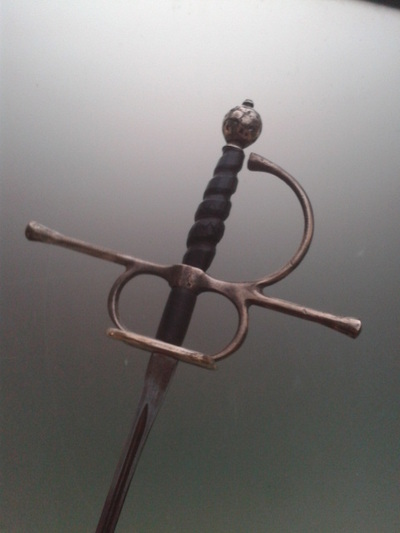 This elegant sword will be the backbone of your armoury and a constant in your classroom.